Tapscape got their hands on another great game today, which isBungee Mummy: King’s Escape by Steampunk Wizards Ltd. This 3D game has a lot of interesting features but is it any good? Read on and find out yourself! In Bungee Mummy: King’s Escape we play as King Phero. A compact ball of bandages revived by his trusty mate Madu. Our job is to free the people of the clutches of the evil Solark, our villain of the story. King Phero and Madu will first have to escape the great pyramids and traverse the scary underworld of Hagareem first in order to do so, and this great pyramid is where we start off our journey in the first level. 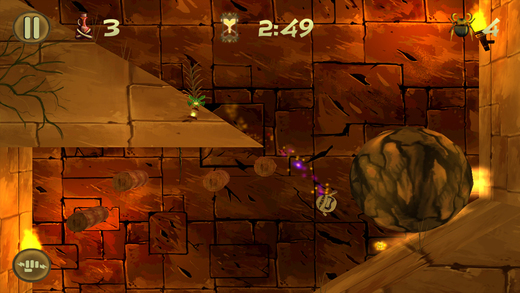 Bungee Mummy: King’s Escape is a game heavily focusing on physics. By tapping your screen King Phero will shoot bandages by which he hangs, allowing you to progress through the levels by swinging from object to object. 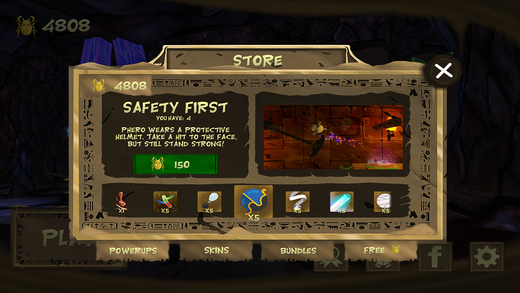 You can stick to a total of three objects at once, the last most often used to hit enemies or carry items like boxes to switches giving this adventure game a nice blend of dungeon puzzles as well. When attached to two objects you can also launch yourself in a direction, giving you a lot more freedom throughout the levels. You’re also able to cut off your attached bandages, giving you more room to maneuver yourself and placing objects at the designated spots. 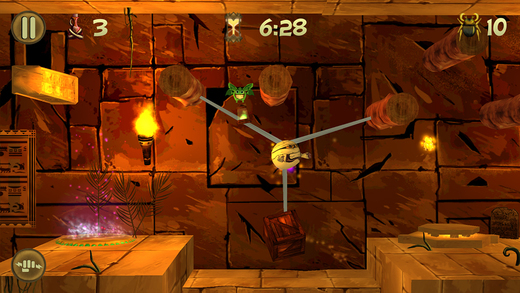 Bungee Mummy: King’s Escape is a delight to play, but the wacky and bouncy physics can get a tad tedious at times. Luckily there are enough power-ups that are purchasable that help you out a lot and when things get too rough in a level you can choose to skip it by spending collected scarabs. Bungee Mummy: King’s Escape also features intense boss fights and enough change of scenery and gameplay mechanics to keep things fresh at all times. I did find the amount of ads in the game a bit too high but these things are all discreditable when playing the game. 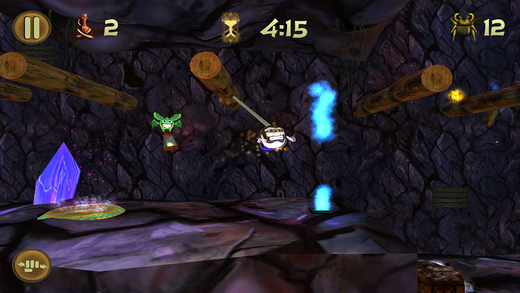 Bungee Mummy: King’s Escape is a wonderfully designed 3D game with a lot of fresh ideas and interesting mechanics. The adventure will keep you thrilled and I like that the games gives you freedom to explore levels very early in the game, unless some games that have tutorials of over an hour. If you’re looking for a new and exciting adventure puzzling game you should definitely try Bungee Mummy: King’s Escape.